A Bay Area woman's wish for a peaceful death has been dashed, and now her family is taking legal action. Judy Dale's family is filing a lawsuit against UCSF, claiming her doctors misled her about participating in California's End of Life Option Act. Dale's family said she asked her doctors to help her end her life. The lawsuit claims the doctors didn't live up to the agreement, and she suffered as a result. "Her mother had cancer, she had cancer, she knew what cancer looked like," attorney Kathryn Stebner said. "In the end, she made a strong decision; she didn't want her life to end that way." Stebner said the 77-year-old Dale wanted to have control over her death. California's End of Life Option Act passed one month after she was diagnosed with Stage 4 colon cancer. Dale spoke with her doctors at UCSF about it. "During the entire time she is there, she is having conversations with health care providers, saying, 'I want to take advantage of this.' It's all over the records," Stebner said. According to the lawsuit, a social worker told Dale in August her doctors did not plan to help her. Dale's family then scrambled to find a doctor who would. But before a new doctor could be found, Dale died. That was in September. "She died the exact kind of death she didn't want," Stebner said. UCSF's website says participation in the End of Life Option Act is voluntary for doctors. It also says if a patient's doctor refuses, a social worker will help that patient find a doctor who will participate. 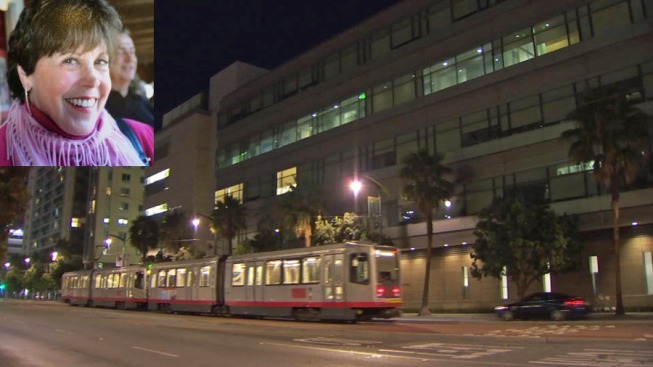 In a statement Monday night, UCSF outilined its protocols, but said it can't comment on Dale's case. The lawsuit, which seeks unspecified damages, accuses UCSF of elder abuse and fraud. Dale's family wants the health care organization to change. "This lawsuit says if you are not going allow it, tell people," Stebner said. "Super simple. For her it's too late." Stebner says Dale's children don't want this to happen to another family.